Tommy Thompson Trail in Anacortes and Taylor Avenue Dock in Bellingham. We have enjoyed the Thompson Trail in Anacortes. I walk a lot and explore new place to go. 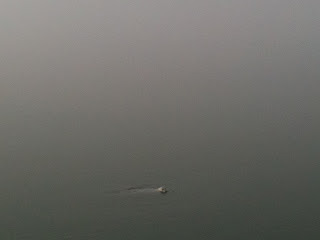 But I saw two things on our cloudy day walk here that I haven't seen elsewhere. On the bridge portion - as one person quoted in the article said - it was like being on a boat because harbor seals were hanging out. Just swimming back and forth!! And sea gulls drop shells to break them and get the contents in huge numbers. 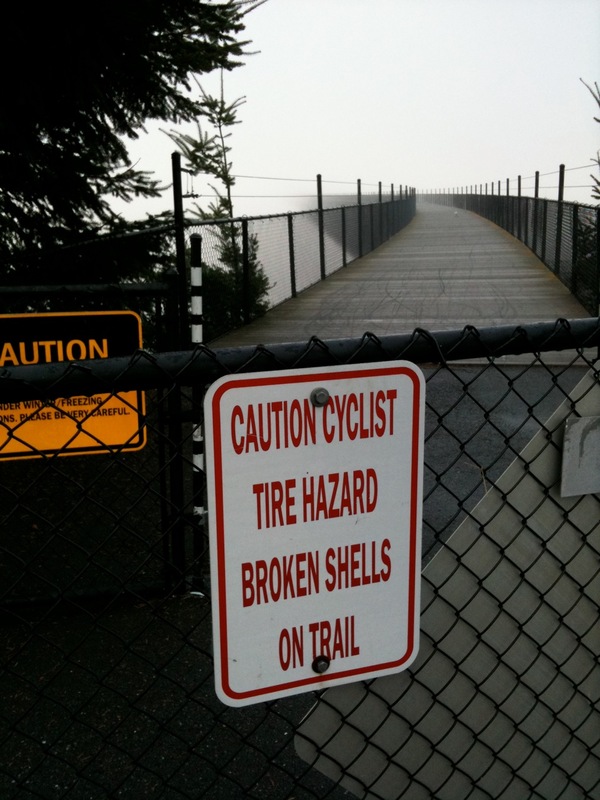 So much that signs warn cyclists of tire damage. I have ridden portions of the John Wayne Trail - from the western terminus near North Bend and near the Columbia River. But there are about 80 miles between plus the Milwaukee Railroad's two-mile tunnel under the Cascade crest. I have walked the trail in Bellingham, but I didn't know there was an over-water portion, so I didn't get serious about it. Check these out and enjoy exploring and getting exercise. 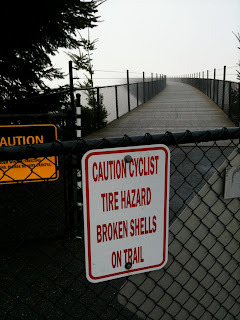 My photos: Shells on trail and the beginning of the trestle. 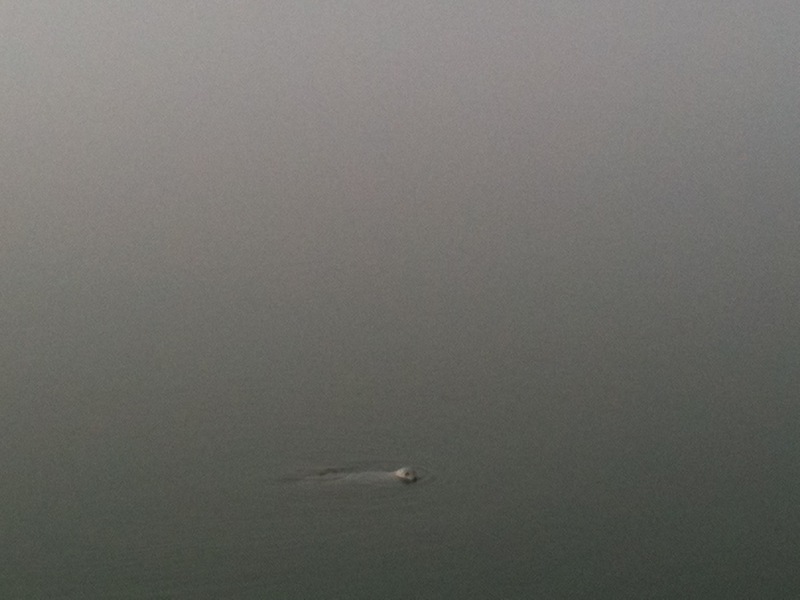 The harbor seal is small; click to enlarge.